What’s not to Love About Southwest Florida? Calm Gulf of Mexico beaches, relaxed boating on the Gulf and the InterCoastal Waterway, fishing, championship golf, tennis, water sports, wildlife. It’s all here. Learn the lingo of Southwest Florida’s waterways. For example, what exactly is meant by “Gulf of Mexico Access” and “Gulf Access,” or “Direct Access.” Where are the Beaches? How do property values compare based on waterfront type or beach location? Hate sites that bombard you with pushy sales pitches and other garbage? So do we. That’s why it’s hassle-free to browse Southwest Florida property and Cape Coral real estate here. Just name and email are needed to get a free account. Dave or Brenda will send a thank you, offer to be of assistance, and that’s about it. When you have questions, want perspective on value, or are ready for us to go to work for you, we’re here for ya. With beautiful Gulf of Mexico sugar-sand beaches, endless boating options, affordable waterfront property, world-class fishing, golf galore, parks, arts and entertainment, and so much more, what’s not to love about Southwest Florida? Our Southwest Florida real estate region covers Cape Coral real estate, Fort Myers real estate, Fort Myers Beach, Pine Island, Bonita and Estero, and surrounding areas. And if you dream of having your boat in your backyard, this is the place to be. Get details about waterfront property in Southwest Florida. For example, what does “Gulf Access” mean? 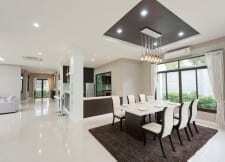 What are the types of Cape Coral canal homes? Read more about the Southwest Florida, for example, where exactly is Southwest FL? Read about the Southwest FL real estate market and more. Read why people choose Southwest Florida homes and condos for their second homes, permanent residence, or retirement homes. What are key considerations for acquiring a second home (vacation home) now in the Cape Coral area? Is it a good idea so seasonally rent your second home? What questions should we be asking about being a snowbird in Cape Coral, Fort Myers and surrounding areas? How about property taxes in Lee county Florida? Are taxes different for snowbird and international buyers? Can you help us shop for southwest Florida real estate? What’s the weather like in southwest Florida? Does the region have an international airport? What are Top Reasons People Choose Southwest Florida Real Estate? Our centralized location is one of the key reasons people choose this area (apart from the glorious weather of course). We are on the InterCoastal Waterway and enjoy the calm aqua-blue waters of the Gulf of Mexico. We recognize and appreciate many people start their search for Southwest Florida real estate months or even years in advance. But it’s not too early to start a dialogue now about what you are looking for. Often, we can answer questions and offer perspective that will help you shape your criteria. For example if you are looking for Gulf Access homes, we can guide you based on important location factors: which areas will work best for the type of boat you have, if you are primarily interested in cruising or fishing, and similar. Likewise, if you are interested in golf communities or beachfront, we are happy to offer insights on which locations will work best for you. It is not well known that Southwest Florida is home to many estate and executive luxury homes and communities. Southwest Florida doesn’t advertise or boast about the entertainment or sports celebrities, radio hosts, philanthropists, authors, or CEOs that have second or permanent homes here. And that is one reason luxury living is different here – no paparazzi, tabloids, or bus tours. Just peaceful, private enjoyment of exquisite homes, grounds, and views. And consequently, it’s a fairly guarded secret just what kind of luxury awaits. On Gulf of Mexico beaches, in golf course communities, along the Caloosahatchee river, on saltwater canals, in yachting communities… it’s no surprise there are luxury properties throughout Southwest FL. Pictured here is the pool area of a home in Cape Harbour, a premier Cape Coral real estate boating community. View a gallery of luxury Southwest Florida home listings to get started (or browse just for fun!). This month we are featuring new Cape Coral real estate listings that are on Gulf Access canals. “Gulf Access” means that the home or condo is on a saltwater waterway that leads to the Gulf of Mexico. When a Cape Coral home for sale or Cape Coral condo listing description says it is “Sailboat Access” or “Direct Access” that means the waterway has no fixed bridges (the boat height is unrestricted, for the most part). If the Cape Coral property listing description says Gulf Access (only), it usually means there is one or more bridges on the canal system leading out to the Gulf of Mexico. Sign Up for automatic Email Updates using your search criteria. New or changed Southwest Florida listings that match your search criteria will be emailed to you daily. Just your name and email are required. Many people looking to purchase real estate in Southwest Florida are interested in waterfront homes and condos or golf course homes and condos: Cape Coral real estate on the waterfront (over 400 miles of canals) is primarily on saltwater canal systems that lead to the Gulf of Mexico. There are also Cape Coral homes for sale on freshwater canals and lakes. Additionally, there are many beautiful single family homes with pools as well as condominiums with community pools available for those looking to purchase Cape Coral property for a relocation, retirement, investment, or a vacation home. Fort Myers also has some homes and condos on saltwater canals. The downtown area, called the River District, flows along the Caloosahatchee River where you’ll find high rise condos and historic homes. Fort Myers Beach real estate consists primarily of condos, hotels, and some single family homes directly on the Gulf of Mexico’s beautiful white sand beaches. On the back bay, you’ll find both contemporary new properties and charming “old Florida” style homes, some on saltwater canals with boat docks. Bonita Beach, Sanibel, and Naples beaches boast luxury homes and condos along Gulf of Mexico. The back bays and channels of Naples and Sanibel are where you’ll find executive homes and condos with boat access. Golf course homes and condos for sale are available throughout Southwest Florida, with the majority being in the Fort Myers and Naples areas. Golf courses are private, semi-private, or public. For many Southwest Florida real estate buyers, golf is what draws them to the region, so understanding the types of golf membership is a key part of the decision-making process. For example, what are bundled golf communities in Southwest Florida? We’ve put together some pre-built community searches so you can quickly locate homes or condos for sale in Cape Coral communities, Fort Myers communities, Bonita-Estero communities, and Naples and Sanibel communities. Avid boaters, we know the waterways and most importantly the Cape Coral canal systems, Fort Myers waterfront, and Southwest Florida marinas. Before buying, it’s critical to know about channel depths, bridges, and other factors that influence the type of boat that will work and also travel time to the big water and Gulf of Mexico. If you are considering selling a waterfront property in Cape Coral or Southwest Florida, it’s equally important to choose an agent that knows the waterfront to ensure the property is listed and marketed properly to attract the right buyers. 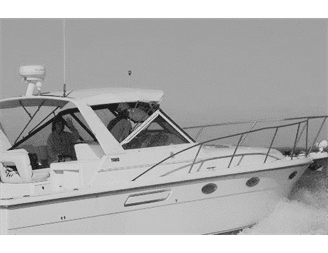 Unfortunately, many people that worked with other agents purchased Cape Coral real estate on canal systems that could not accommodate their current or future boat. Or, they found out it is over an hour from the home to the river or Gulf of Mexico. So it’s important when shopping for waterfront homes to work with a waterfront-expert Realtor that has local knowledge and will show you homes that fit your waterfront criteria. Cape Coral is often called the waterfront wonderland because of its 400 miles of navigable residential canals, many of which lead to the Gulf of Mexico. Southwest Cape Coral and Southeast Cape Coral are considered the premium locations, with Southwest Cape Coral being home to many new executive waterfront homes, the popular waterfront Cape Harbour community, and the Westin Resort with a beautiful marina and bay views. Cape Coral continually ranks on Top Lists for best places to live, best places to retire, and more. Fort Myers is a city that runs along the Caloosahatchee river is has a vibrant, evolving downtown area. The city boasts many golf communities, riverfront properties, and marina communities. Fort Myers Beach is an island at the south end of Fort Myers (Estero Island) on the Gulf of Mexico. It has beautiful white sand beaches and is often referred to the friendliest family beach. The downtown area, Times Square, is alive with great restaurants, waterfront dining, and live music. Pine Island is mostly known for its fishing village and funky “old Florida” art culture. The northern end of the island is the city of Bookelia and the southern end is home to St James City. Many homes are on canals or are directly Bayfront. Sanibel and Captiva are two barrier islands on the Gulf of Mexico that claim high regard for casual elegance, nature trails, environmental tourism, and luxury homes and condos. No Pressure, Ever. We’re here to serve you, and the right time to buy or sell is when it’s right for you, whether that’s a week, a month, or a year from now. We are professional, full-time, full-service real estate agents based in Cape Coral, serving buyers and sellers of residential and investment properties. As your Southwest Florida Realtors our objective is to cultivate customers for life through a trusting and valued relationship. We are a husband and wife team that has consistently produced multi-millions in sales, year over year. We are both originally from the midwest – primarily the St. Paul, Minneapolis areas of Minnesota – and (yah, sure, you betcha) have kept our midwest work ethic intact. Avid boaters, we moved here permanently in the early 2000′s and love the waterfront lifestyle. As Cape Coral waterfront and Fort Myers waterfront experts, we help you navigate the local market. From the very beginning, I felt like I was working with my best friend…. and had done her homework and invested a significant amount of time making it all happen in the narrow window of time I had. As the closing process was winding down and I let all of our friends know what an outstanding job she’d done, I jokingly referred to her as the “Grand Imperial Puhbah of Real Estate.” All joking aside, she has no equal and we will forever be grateful for her invaluable advice and counsel. One thing that I must caution to anyone reading this about Dave and Brenda is not to assume from their friendly and simple manner that they are not seasoned and knowledgeable about their trade. 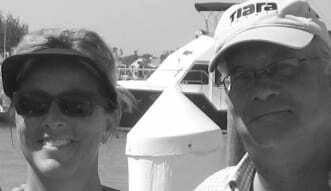 Guess what, they really care about their clients, and in such a pleasant and genuine manner that we would suggest to anyone looking for anything in the real estate market in South West Florida that there really is only one couple to work with and that is Dave and Brenda. Dave and Brenda’s stock in trade is in depth market analysis, experience and patience. Throughout the process of a sometimes challenging purchase their prompt communication and follow up was second to none for all aspects of the transaction. Using gentle guidance they pointed out considerations not obvious on the surface but nevertheless important. We ended up with a perfect property for us in a much nicer setting than we otherwise would have due to their advice. Thank you for visiting our Southwest Florida real estate web site. We hope you find the in-depth area information on properties in Southwest Florida useful. Rest assured that in choosing us you are choosing professional, reliable service and real estate expertise you can trust.